Weight should always be kept within the normal range. This is important in order to avoid certain medical conditions, such as diabetes and some heart issues. Having a bit more extra pounds is nothing serious, but unfortunately, those extra pounds usually turn into extreme obesity and that really should be avoided. But, if that happens, there are some steps that should be taken. Dieting, exercising and use of supplements are basic things that should be done in order to maintain normal weight value, as well as in order to reduce weight if that is required. When it comes to exercising, it has to be said that cardio workout might be the best choice for a fat burning process, because it does not require high strength level and it can be performed over a long period. It is important to exercise properly and some basic rule would be that at least 30 minutes of cardio workout is needed for the fat burning process to start. Cardio workout forms would include running, swimming, aerobics and similar forms. If workout is performed at home, some devices (such as treadmill and elliptical trainer) might be very helpful with weight reduction process. When it comes to eating, dieting is essential for losing weight, which means that decreasing the amount of calories taken by food is a basic thing that creates all diets. There are 2 types of diets, fast ones, with really drastic decrease of calories value, and slower ones, which are focused on healthy and balanced eating. Fast diets are not healthy, and the fact that proves that is the period allowed for this type of diet to last - not more than two weeks. 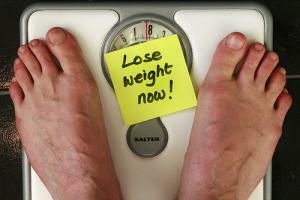 But effectiveness of fast diets cannot be denied, since a lot of pounds can be lost with this eating regime. Eating healthy to lose weight is also possible; all that is needed is to eliminate all junk food from meals, to have at least 5 meals and not to exaggerate with the amount of food in those meals. Five meals are important because that will keep the basal metabolism always active. Fast metabolism will process the food quicker and more effective. Also, with so many meals, the amount of food taken with each meal will be decreased, which is what healthy thing actually is about. If there is some excessive weight present, slight reduction of either carbs or fats along with healthy eating will be more than enough for the weight reduction process to start. The reason that does not work "magic diet cold"